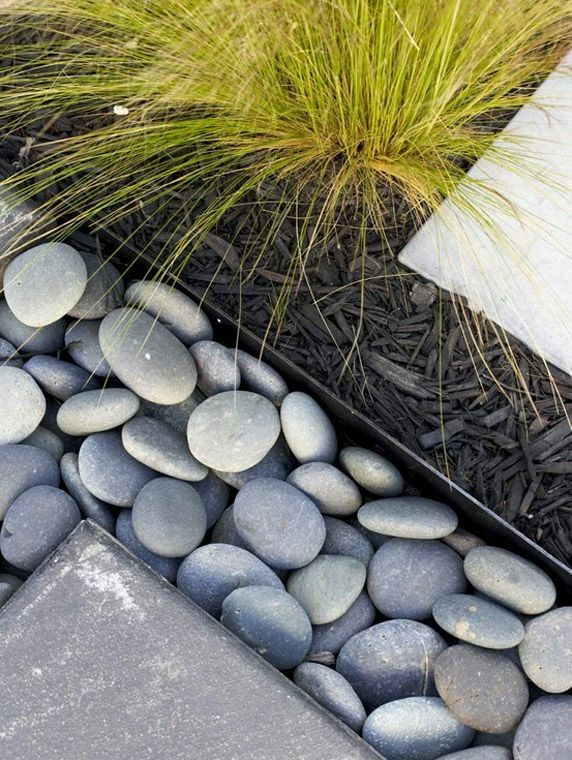 If you’re looking to enhance the look of your garden, edging can be the perfect way to do it. 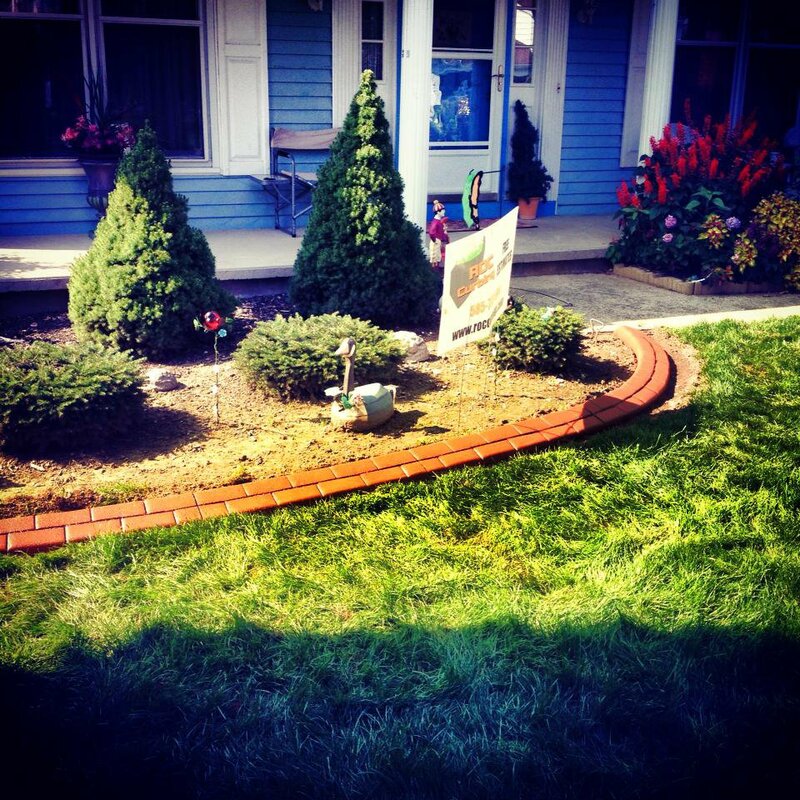 There are so many garden edging projects you can do yourself. Not only will it make the garden look prettier, but it will also reflect your personality and add a unique style to the property. If you want to make a change without spending too much money, the ideas below will help. 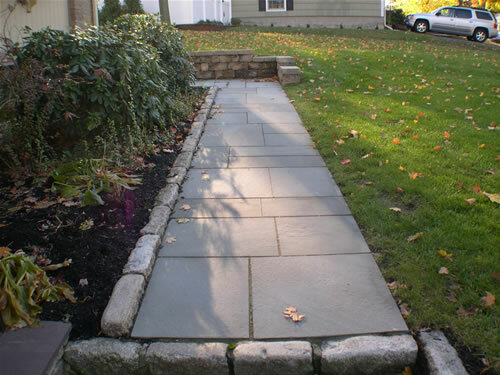 One of the most popular types of edging you might want to consider is the rocky traditional design. 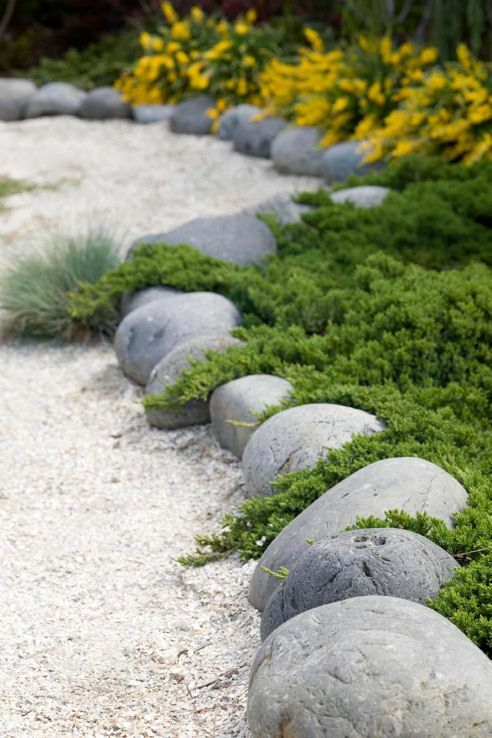 Made of large, rugged, circular rocks, this edging is incredibly simple to do. You can buy the rocks from local garden stores, or you could even go out and find your own. Keep in mind that this type of edging will suffer from weeds growing up through the cracks. If you do choose to find your own rocks, they will also likely be uneven. However, this can add to the rustic charm, providing there isn’t too much of a difference in size/shape. If you’re looking for a rustic, natural design then this could definitely be the best option. They come in different colour variations to fit your preferences. 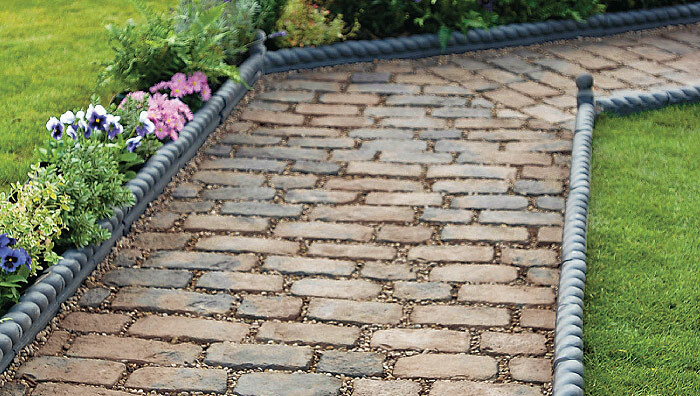 Another stone based option is the cobblestone edging as seen on PInterest. This style of edging offers a soft, modern design. Adding a welcoming feel, it provides almost a fairy-tale style. It’s incredibly eye-catching and very easy to install. There’s also the added advantage that it’s inexpensive too. On the downside, there’s the chance that after they have set, the rocks will become unsettled. Like the rocky traditional look, there’s also the chance weeds could crop up between the cracks. So they will need regular maintenance to keep the weeds in check. 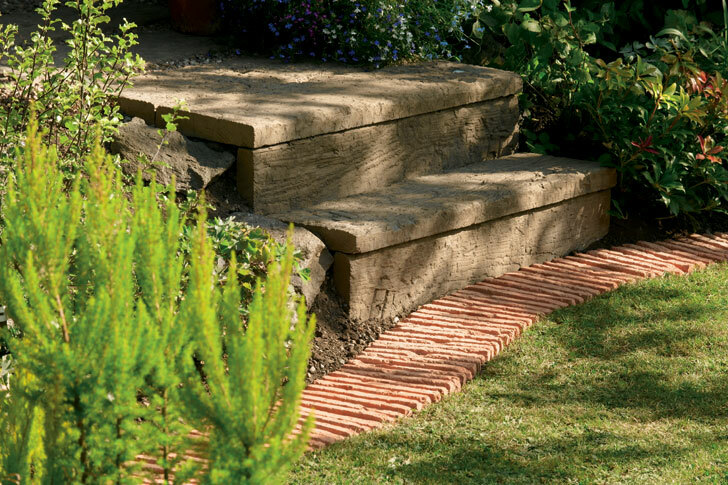 Another extremely popular option is the horizontal brick edging. Providing a very modern look, this type of edging will require a little more construction than the previous two. This is because the bricks are cemented together. You can choose to just dig them into the soil, but cementing them will provide a longer lasting, more visually appealing look. 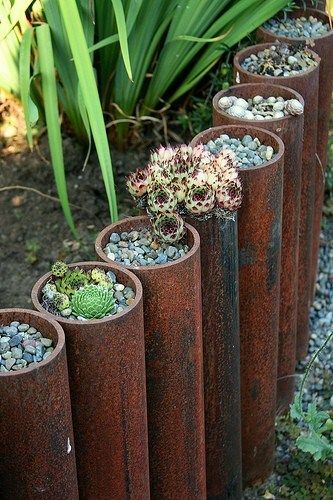 They should be placed as closely together as possible so that soil doesn’t spill through any cracks. If your bedding consists of sand, this type of edging is particularly useful as it prevents unsettledness. These types of bricks are easily available and they produce an eye-catching finish. They are also fairly cheap to buy. 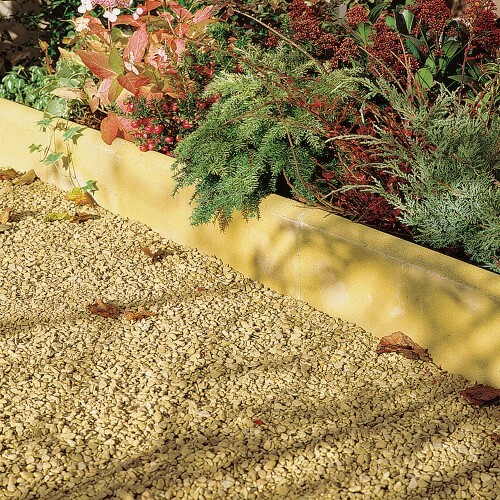 The potential disadvantages of this type of edging include the chance of discolouration due to algae and moss, they could end up uneven when placed in soil and grass and weeds may grow out through the cracks. If you’re looking to add an antique style to the garden, rope top edging could be a good idea. This elegant, attractive border provides a chic design that will make your garden really stand out. Created with stone, the top of the edging provides an etched in rope design. It’s this that really captures the eye. 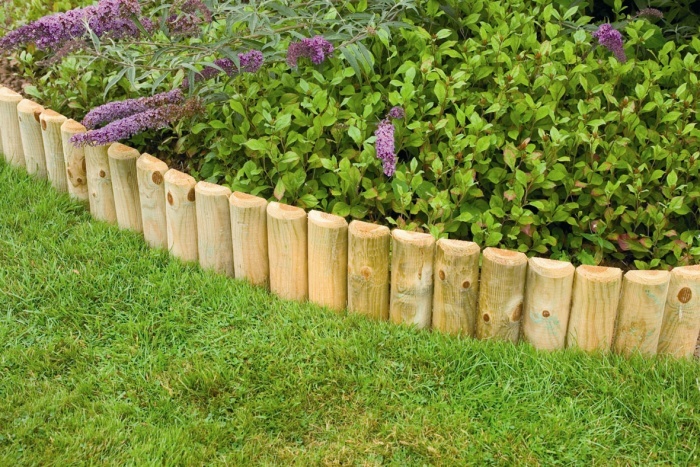 Available in various colour options, there are many advantages to using this style of border. One of the main ones is the fact that there aren’t any cracks between the stone. This means no weeds or grass will poke through. It also acts as a proper border, keeping plants and soil behind the little wall. It is slightly more expensive than some of the other types of edging, but the results are definitely worthwhile. Sleepers and logs provide an informal style that looks particularly attractive in country style cottage gardens. They create a fairly rustic design and provide a stable border that’s easy to maintain. The potential downsides of this type of edging include the fact that they can break down and rot over time, they are quite slippery if they get wet and you could end up with a lot of weeds taking over. To avoid them breaking down over time, it’s a good idea to invest in ones that are weather-proof treated. 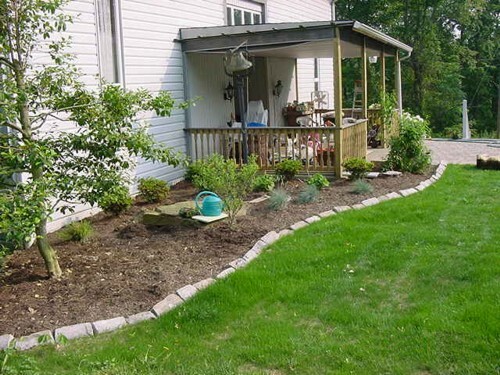 What type of border are you placing the edging around? Does it contain a lot of plants? Does it feature a soil, sand or rocky base? Are you growing vegetables and fruit? These factors will make a big difference to the type of edging you choose. 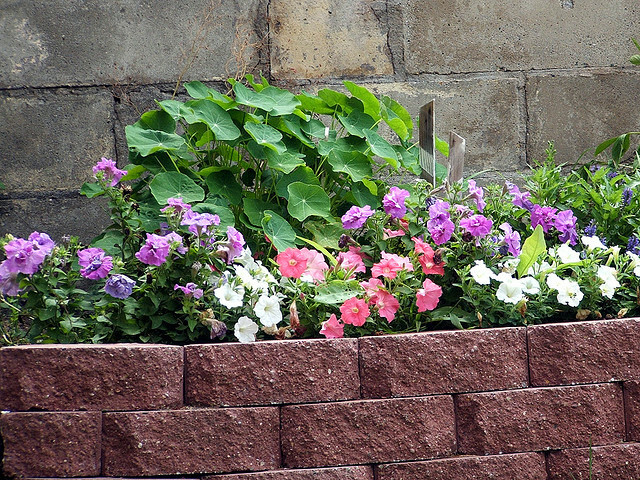 Rope top, horizontal brick and cobblestone edging would be perfect for soil based plants and flowers. Sleepers and logs on the other hand are particularly useful for those growing vegetables. 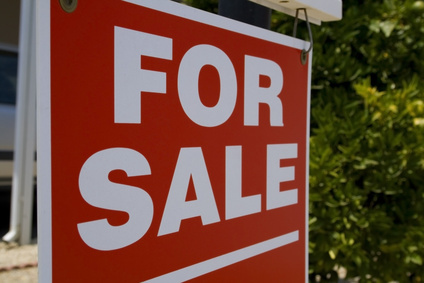 The cost will also obviously play a big part in the type of edging you invest in. The more sophisticated and detailed the edging, the more costly it will be. Keep in mind that it’s better to invest in high quality edging that costs a little more rather than focusing on the cheapest materials. 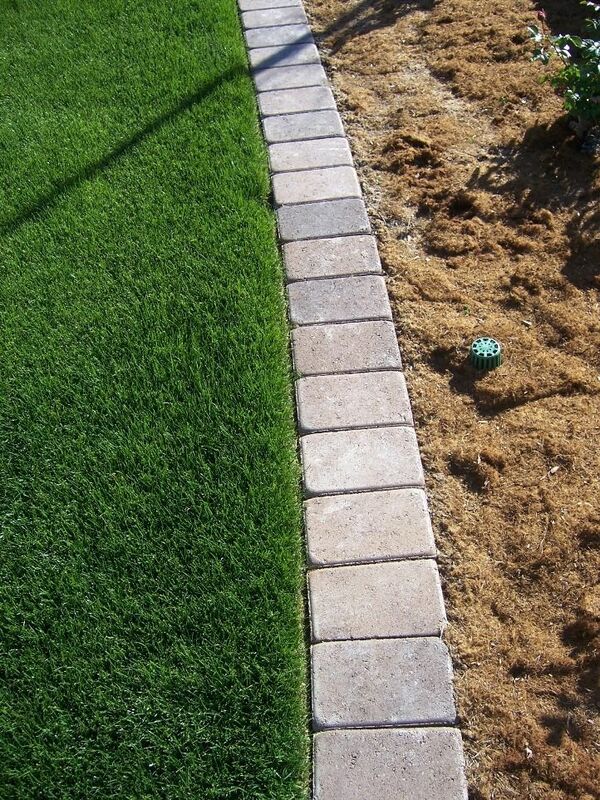 Cheaper edging may save you money in the short term, but it won’t be as durable as the more expensive types. Therefore you’ll end up replacing it quicker than you would with the more expensive edging. Maintenance is also something you should give a lot of consideration to. How long are you prepared to spend on maintaining the edging? Some require a lot more maintenance than others. Think about the style you’re hoping to create too. If you’re looking for something a little more unique, bottles could be a great option. You can get an idea of what this looks like on Pinterest. There are so many different types of edging available. It’s important not to rush the decision otherwise you could end up wasting money on something that doesn’t look right. If you’re really struggling to decide, you could always get a professionals opinion. 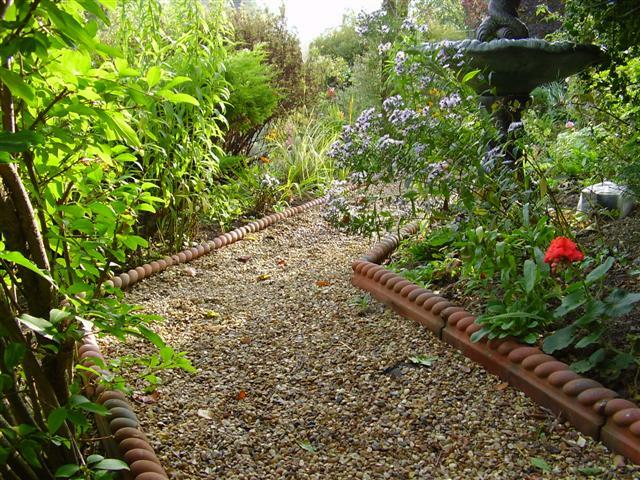 A landscape gardener for example would be able to tell you which type of edging would look the best in your garden.